ASTANA – Kazakhtelecom has completed the first stage to build the largest M2M/Internet of Things (IoT) network utilising LORA, Zigbee and LTE technologies in the Commonwealth of Independent States (CIS). The network covers all segments of the IoT market: apartments, private houses and forays into the B2C (business-to-consumer) segment and city streets, apartment and office buildings, production facilities and highways in the B2B/B2G (business-to-business/business-to-government) segment. “Kazakhtelecom is actively involved in the formation of the Internet of Things market. We understand that this market will be the main driver of revenue growth for the IT industry in the next decade. 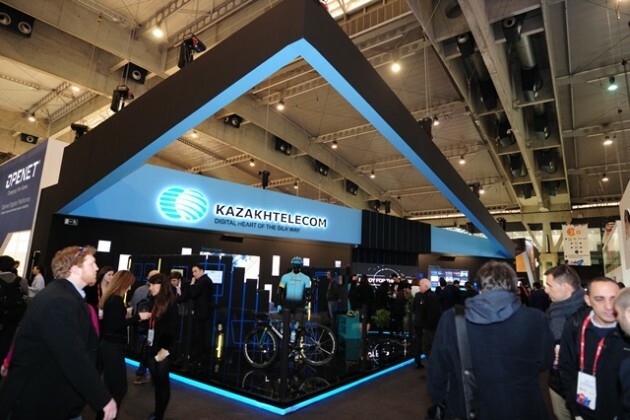 Experts predict that by 2025 there will be about 100 million devices connected to the IoT in Kazakhstan, which will be 3.5 times more than the devices in the mobile communications market,” said Kazakhtelecom Chairperson Kuanyshbek Yessekeyev at the Mobile World Congress, held Feb. 26 in Barcelona. He added that according to estimates provided by Kazakhtelecom experts, the market volume in the country will reach $251 million by 2025, according to Kapital.kz. “We implement a number of projects, study possible application cases and business models in the IoT area and build partnerships with developers, device distributors and other market participants,” said Yessekeyev. In the first stage, LORA technology was used to catalogue all buildings and urban areas in Almaty, the capital and Shymkent. The project aims to connect 9,000 apartment building entrances and 17,000 video cameras to cloud-based video surveillance, which collects and stores video data from cameras installed in similar locations in 18 other Kazakh cities. The advantages of cloud-based video surveillance are online access to video from smartphones and other devices through a developed mobile app and web portal and ability to watch archival video records with a storage time of up to seven days. Plans are underway to expand the coverage up to 33,000 cameras in 17,500 entrances by the end of the year. The initial stage also includes deploying the Smart Home platform, which acts as a cloud solution with horizontal extensibility with the ability to implement various smart home-based solutions based on Zigbee technology. The solution allows users to connect IP cameras and motion sensors, open doors and windows and activate smoke sensors, temperature and humidity. The platform is expandable to five million devices and one million users and the app is available for iOS and Android devices. The second stage, to be implemented by the end of the year, is expected to use LORA networks to cover all Kazakh regional centres, as well as Semei, Temirtau and Zhezkazgan. Project developers plan to install more than 400 LORA based stations in 19 cities with coverage of more than 30,000 apartment buildings, approximately 1.5 million apartments and 6,926 square kilometres of urban area. The new network will become the main infrastructure to implement smart city solutions, in particular, to automate smart metering and smart lighting readings. The advantages of the LORA network are its high scalability due to large coverage radius (up to 25 kilometres), long battery life of the end devices (up to 10 years) and protocol openness for a wide range of devices.